​Evening to you all.😄I make a new soap today . Volcanic Ash & Activated Charcoal facial soap which can also be used all over the body. Volcano Ash have been used for centuries to bringing beauty and glow to the Skin. Benefit of volcano ash on the skins extended to the treatment of variety of infection on the skins due to the fact that it contains antibacterial,anti-viral ,anti-yeast and it overall disinfectant qualities. It is high in sulphur. Volcano ash does not dissolved in water making it fantastic mild exfoliating in soap. It especially good for oily skin. It have been claimed to help with treatment of skin rashes,cellulite,blemishes,eczema,acne. 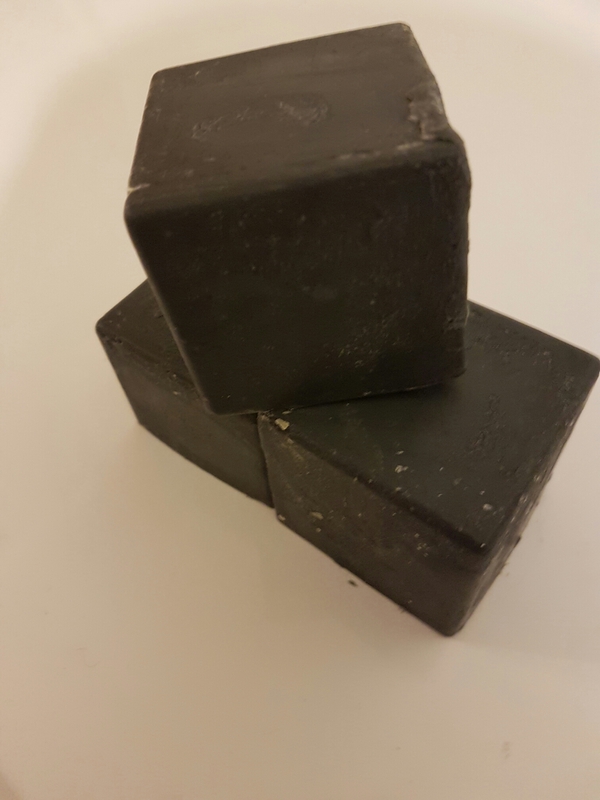 Activated Charcoal is another additive added to my soap base which I used as a colorants for this soap as well as exfoliating. It helps to deep cleaning the skin. Contain: organic oil and butter with essential oil. Previous Previous post: Red Palm Oil Soap Bar. Red Palm Oil Soap Bar. I am a beginner in Soap making.